Glass railings are some of the most versatile types of designs that you can have in your home. Not only can they be used for basic stairwells and stairs, but also for decks and balconies, and virtually just about any kind of enclosure you can imagine. When combined with structural elements such as aluminum you get a very impressive look that will be both modern and timeless. Not only that, but it is also an excellent barrier against wind without blocking a gorgeous view. Residential glass railing adds a unique and striking appearance to your home. There is no doubt that having just such a system will lead to many oohs and aahs from your friends and neighbors. It even gives off the impression of glamor and can be used in a number of different ways from your balcony to a deck to even a staircase going up the entire height of your home. Imagine being able to look over the world and know that everyone is still safe as can be. Allowing Tri City Glass to install one of our affordable and beautiful glass railing systems can do all this for you…and more. Glass railings are really able to work well with almost any other type of material. This can include iron, wood, and aluminum. It is one of the best and most adaptable types of materials that can be easily customized for whatever function you desire. Of course, it still should be located near to a light source in order to create the desired effect. 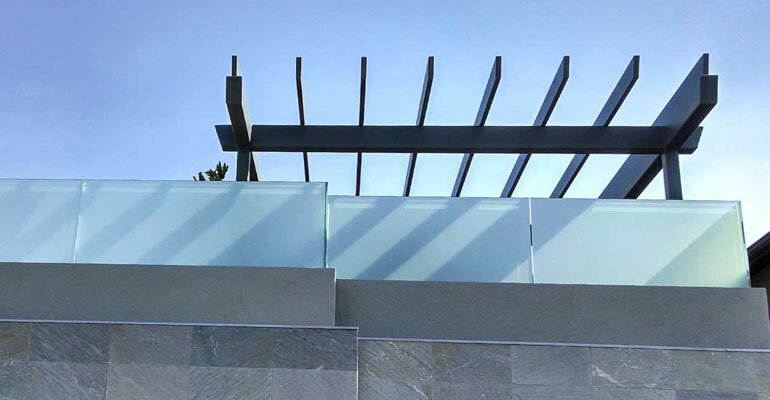 Maintaining your glass railings is almost a no-brainer. A simple shot of an ordinary glass cleaner every once in a while is about all that is required. This material is very resistant to mold and mildew and it will never need painting or really any other type of upkeep. You will not be spending any money to care for the glass portion of these railings. Plus, it is is quite durable. Generally speaking, anything which adds such a high amount of beauty to the home will also increases value. Of course, you should also be careful about how and where you add these types of railings. Especially in high or otherwise dangerous areas like balconies and upper staircases, always focus on the strength and safety of these railings. Metal can be a great option in such situations to provide added strength, support, and stability where needed. TricityGlass.net © 2015 . All rights reserved.